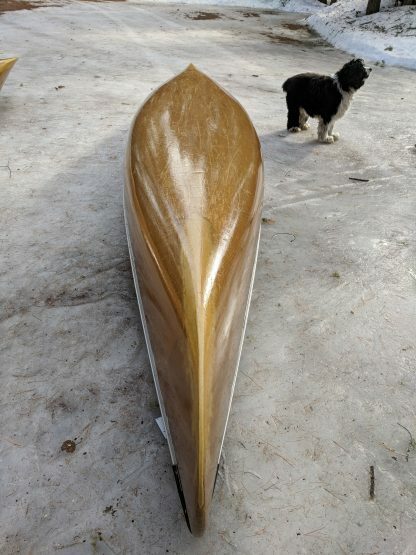 *We do not ship canoes. 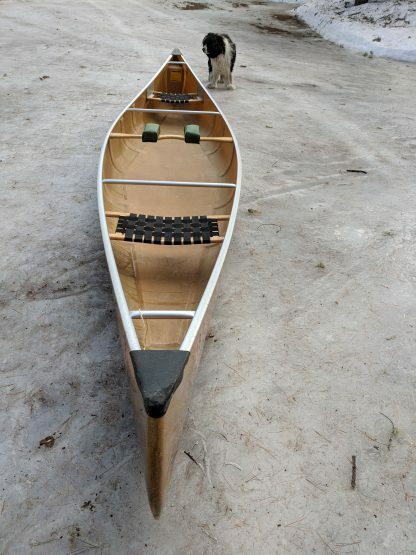 Canoes can be purchased and stored at Sawbill until your next visit. 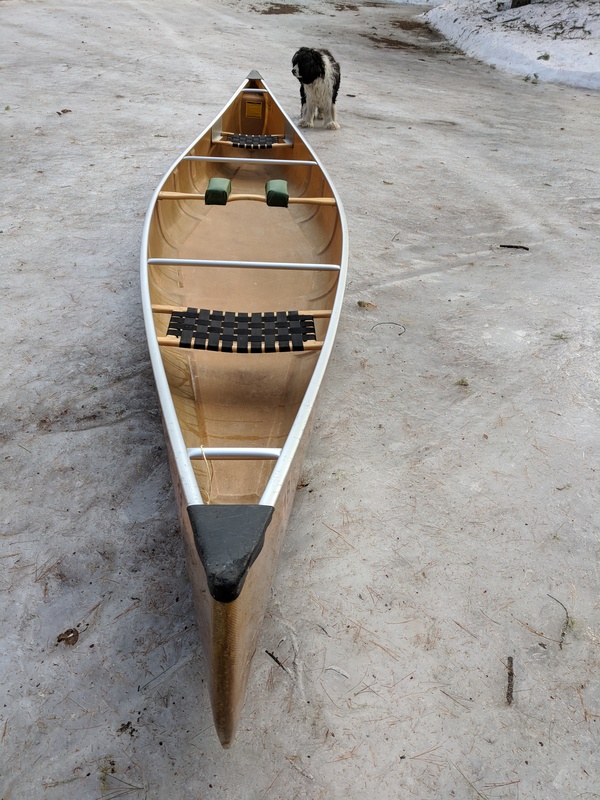 Your satisfaction is guaranteed – if you don’t like the canoe when you see it, you get your money back with no questions. Indicate in purchase notes the date that you plan to pickup the canoe. 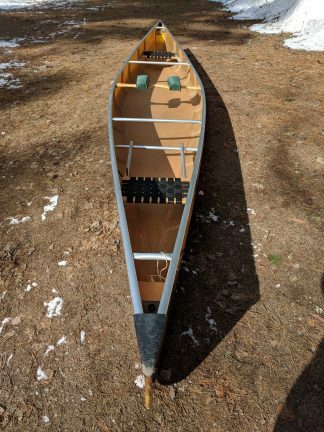 Length 17′; center depth 13.5″; stern depth 22″; bow depth 22″; Max width 37″; gunwale width 36″; waterline width 34.5″; weight 44 lbs; construction is Kevlar/foam core ultra-light with web seats and aluminum trim. Comfortable, adjustable custom-made yoke pads. 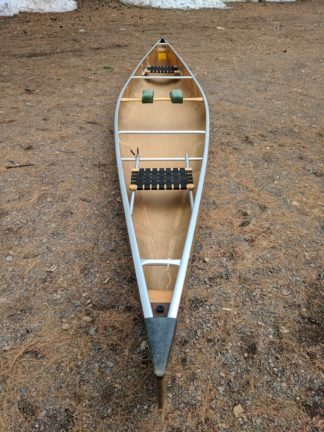 The 17 is a classic canoe, built for all around tripping enjoyment in the BWCA for all ability levels. It is 17′ and weighs in at 44 lbs. It has a new coat of vinyl ester resin on the bottom and refurbished Kevlar skid plates. 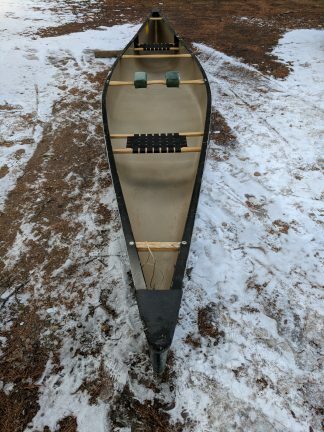 This canoe has many years of tripping enjoyment left.